The past couple of years, it seems to me that the dawn of the Brooklyn music scene is creeping into Queens. A handful of notable new bands and musicians are emerging, that are creating quite a name for themselves. Recently, I had discovered The Workers, who hail from Middle Village, Queens. The group are a fresh alt rock band, who have just released their latest record, Totem. Fronted by award winning musician, Dan Greenwald, the group likens themselves to REM, Elliot Smith and Pink Floyd. Totem is also engineered and produced by Will Hensley, who has been involved in mixing Coldplay albums. “Death Race” opens the record, which is a stunning way to kick things off. Greenwald’s voice is reminiscent of Robert Schneider (Apples in Stereo) to me. The guitar solos are nothing short of mesmerizing, as they swirl around Greenwald’s voice effortlessly. “Boomerang,” is heavenly with pedal slide guitars to greet you from the intro on. Greenwald talk-sings throughout the piece, creating a musical journey with gorgeous harmonies in tow. His lyrics are deep, and sentimental, and work flawlessly with the piece. Closing out the album is “Big Time,” which brings things out with a bang. The acoustic guitars are bright, and are accompanied with harmonious vocals that bring the song to lie. The Workers’ Totem, prove to be a stunning piece of work, and a nice way to close out 2014. Check out their record via Bandcamp, HERE. 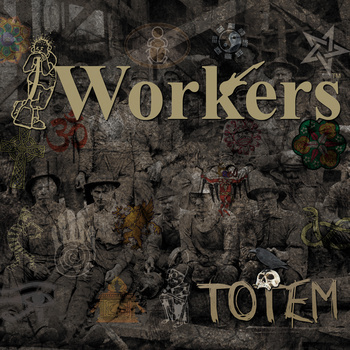 This entry was posted in Uncategorized and tagged dan greenwald, the workers, totem. Bookmark the permalink.